In May 2017, the Agri-Food & Veterinary Authority (AVA) of Singapore issued tenders for land to be used for high-technology agriculture that maximizes land and labour productivity. 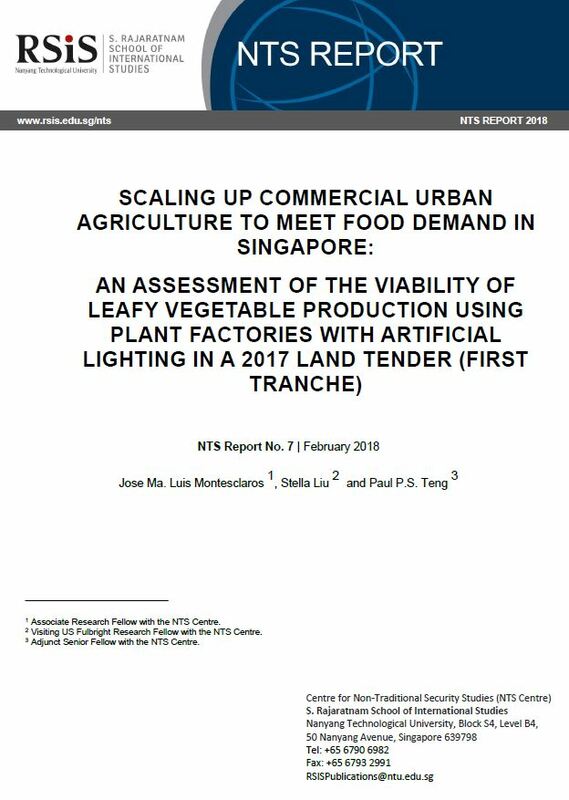 This NTS report provides an assessment of the financial viability of one form of high technology agriculture for growing leafy vegetables — plant factories with artificial lighting (PFAL) on the tendered plots of land (first tranche). The team finds that greater access to low cost financing among firms will help to maximize the amount of financially viable food production in the tendered land, in contrast to the base scenario when financing is more costly. We also find that the proportion of domestic leafy vegetable consumption that can be captured by local farms can be higher if farms sell directly to restaurants or to customers. This assessment further integrates findings from a consumer survey on what could drive consumers to ‘go local’. On the demand side, locals are willing to pay a premium price for safer locally produced vegetables. Furthermore, locals are willing to pay the highest premium for locally grown organic vegetables. Last, over 52 vegetables making up potentially more than 50 per cent of total leafy vegetable import expenditures, are presently listed ambiguously under ‘Other vegetables fresh or chilled’, making it hard to assess the viability of producing these. Recommendations are made based on these key findings.